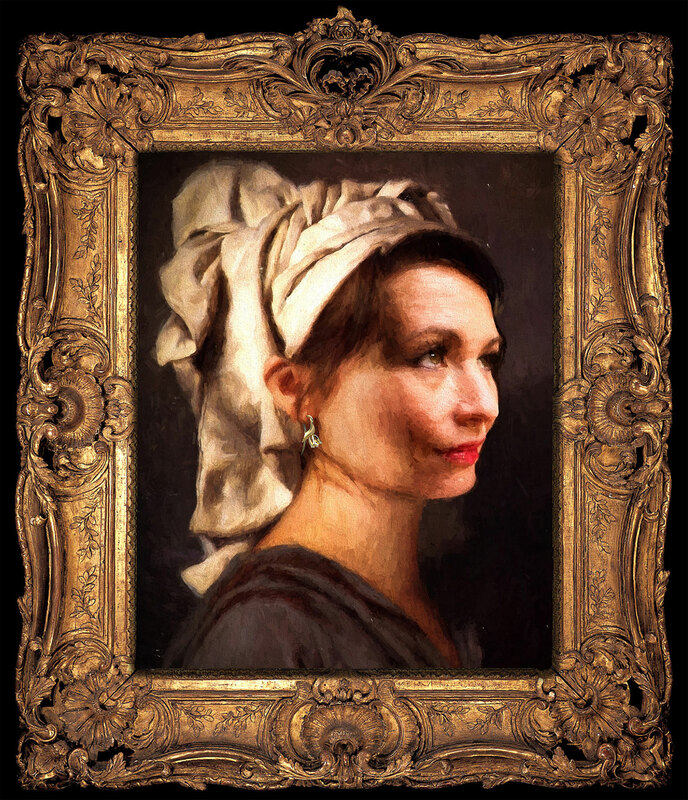 'Girl with the Tulip Earrings' by Philippe Disse 2018 | Dutch Soprano Laura Engel as model in painting. Many artworks are inspired by flowers! The Dutch city of Aalsmeer is a true Capital of flowers. 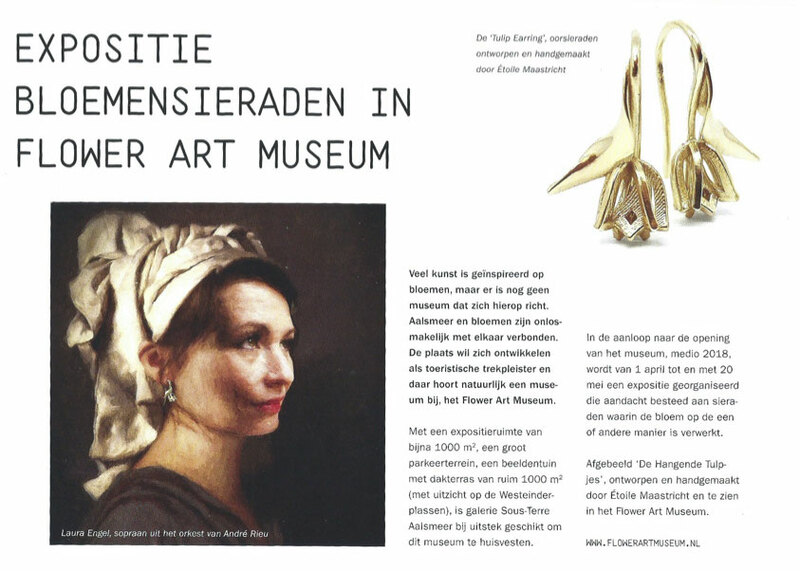 This city of Aalsmeer is preparing to get developed as a touristic environment of Flowers and a true existence of a enormous Flower Art Museum. A 1000 square meter museum, a huge parking space, a large sculpture garden and a 1000 square meter terrace overviewing the 'Westeinder-plassen" (nearby lakes). Until the official opening of this Museum a beautiful Flowery Art collection is gathered to host the first exposition [April 1st until May 20th. 2018]. "The girl with the Tulip earring" by Philippe Disse / Étoile Maastricht. Little golden hanging tulips as earrings.